Ryan/Raley and Esposito/Ochoa. Castle_ABC: "I’m seeing double! 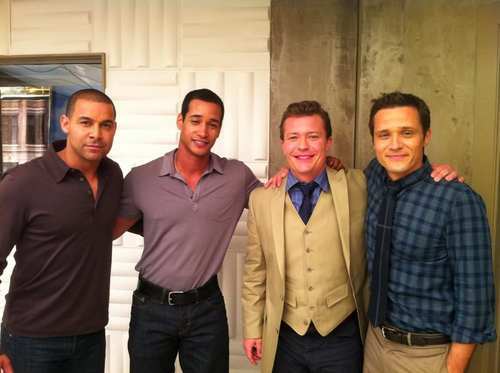 @Jon_Huertas, @seamusdever, Justice Gamble, Ryan Deal". HD Wallpaper and background images in the Castle club tagged: castle ryan esposito raley ochoa seamus dever justice gamble jon huertas ryan deal. This Castle photo might contain well dressed person, suit, pants suit, pantsuit, and business suit.